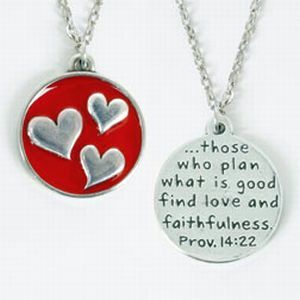 This round pewter heart pendant features three puffy hearts and is surrounded by red epoxy. The back is engraved with Prov. 14:22. Proudly Made in the USA.